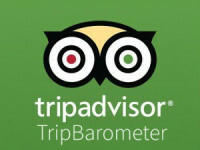 TripAdvisor collects data from its users to create a powerful report called TripBarometer. This report lists what is truly important to both hotelier and their guests and identifies expectations and amenities that each value differently. In their most recent publication, TripBarometer has identified some encouraging growth trends in the travel industry, but more importantly they have uncovered some expectation gaps that hoteliers can use to drive direct bookings and encourage repeat business. The majority of travelers still list price as a key influencer when making their booking decisions. TripAdvisor has found that 44% of travelers are looking for hotels that offer special promotions or package deals. While indications show that travelers are willing to spend more money in 2014, they remain price conscience and are looking for their money to go farther than before. The demand is there, but supply is limited with only 4% of hoteliers offering packages. The packages and promotions they are looking for are a great way to build value in a property and have it stand out against its competition and the keep guests away from OTA channels. Building packages is a great way to leverage your surrounding area turn it into a value proposition for your hotel. This isn’t just for hotels near amusement parks, museums or other popular tourist destinations. Guests are booking in your area for a reason and so there is always opportunity to build a package around that. Check with local tour providers and see what offers they have available to you can extend to your guests. Something as simple as purchasing movie tickets in bulk and offering them at a discount for guests is a great way to build value. The purpose of your hotel marketing efforts is to encourage guests to book directly with your hotel. Your Booking Engine is one of the most powerful sales tools your property has at its disposal, so make sure you’re utilizing it fully. Most modern booking engines have the functionality to add package or value added items during the booking process, creating a single, easy transaction for guests and offer something OTAs cannot.